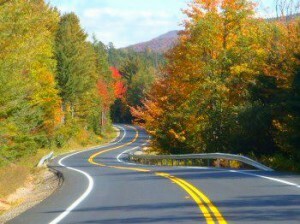 Essex County Highway Maps: Essex County highway maps with 911 updates on town, county, and state roads, are available. The maps may be purchased at the County Clerk’s office or the County Highway Department for $2.50. If you would like a map mailed to you, please send a check for $3.00 to Essex County Highway Department, 7551 Court Street, PO Box 217, Elizabethtown, NY 12932. Essex County maintains 356.26 miles of roads throughout the eighteen towns of the County. This network includes a range of road classifications, including residential streets, rural, collector, and high volume arterial roads. This system requires a varied approach to highway maintenance. Due to this diversity and limited budget with which to operate, the Highway Division has established and continues to implement maintenance and construction techniques that produce the best results with the money available. Unlike many of the neighboring counties, Essex County has created a partnership with the town highway departments. Hired under a municipal contract, the towns perform a good percentage of the routine maintenance of the county road system. The range of duties performed by them varies widely, from hauling to patching and ditching. This cooperative effort has been very effective in sustaining the county road system. Road construction projects, both major and minor, are completed by a combination of town, county, and contracted forces. Similarly, the county is frequently sought to work with towns on their road projects. It is common to find the towns doing their own work with equipment that is rented from Essex County. The county bridge system has been vigorously addressed over the past decade. It is now rare to receive a notice of a “Red Flag” closure of a bridge by the state inspection crew. Essex County maintains 134 bridges, five of which are mutually shared with Clinton County. As far as snow and ice control is concerned, Essex County monitors 52 miles of its roads. All the towns, except Elizabethtown, maintain the rest of the county road network.